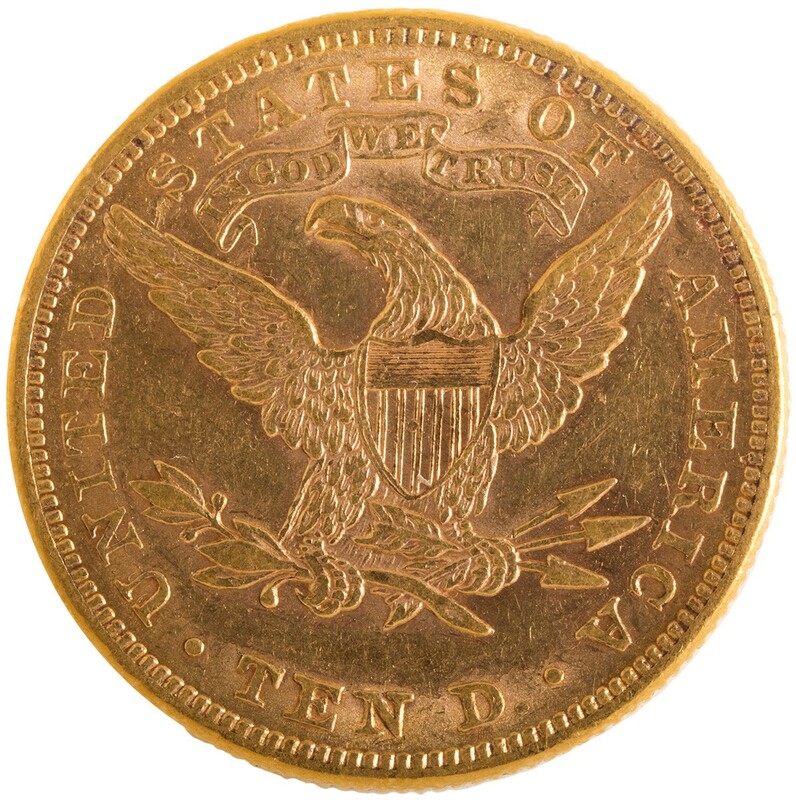 The reverse design of the Liberty Head Gold Eagle depicts a bald eagle, grasping an olive branch in one talon and three arrows in the other. The eagle’s wings are spread, and a large shield is placed at the chest. The inscription UNITED STATES OF AMERICA is around and the denomination expressed as TEN D. is near the bottom rim, representing the first time the face value was mentioned on the denomination. 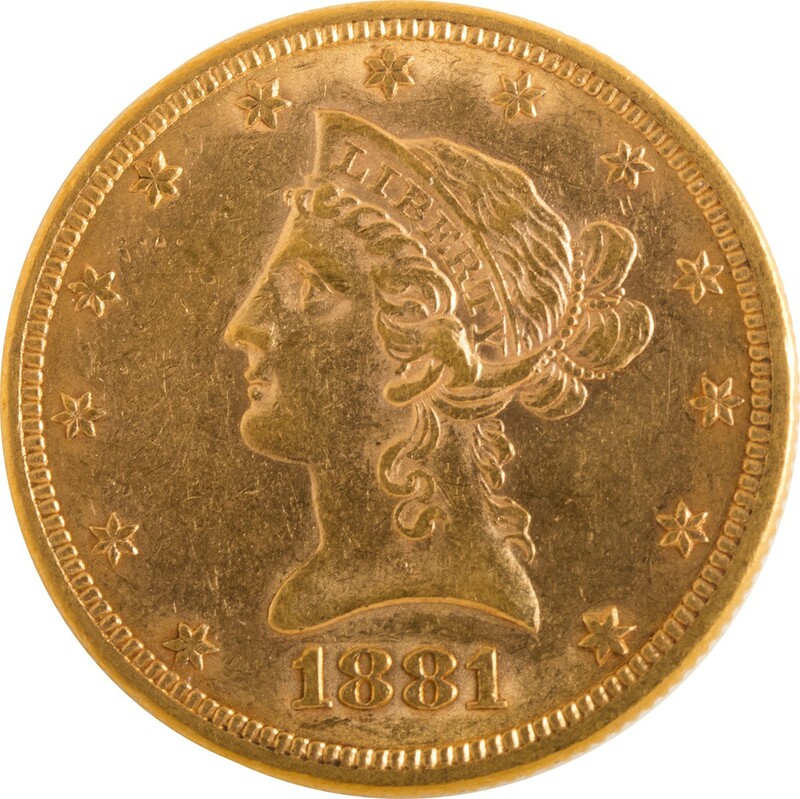 The coin has a composition of 90% gold and 10% copper. Each coin will have a net weight of .48375 troy ounces of pure gold.